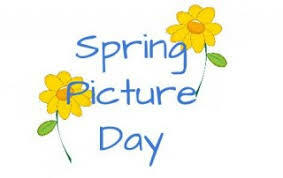 We will be having Spring Pictures taken on March 21st. You are not required to get your picture taken, it is optional. If you get your picture taken you can be out of uniform. NO jeans, sweats, or shorts allowed. Wear your nice dressy clothes. If the girls are wearing sandals, socks must be worn. If they are wearing dresses with no sleeves she must have a sweater to wear during the day. She can take it off for pictures.